They say sharing is caring, so why not to share some cryptocurrencies? 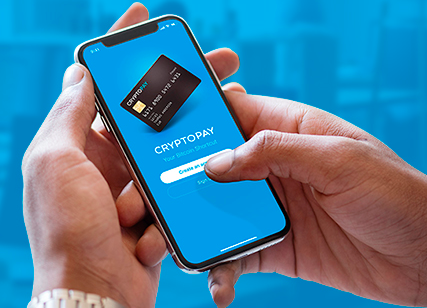 With Cryptopay app sending money is easier than it ever has been! Go to the Transfer tab and choose the account you want to send money from. 2. Add your recipient’s address. You can ask them to copy and send it to you, or you can use our in-app QR-code scanner. Then choose the amount you want to send. 3. There's no such thing as too much attention when it comes to money, so double-check the information and press Confirm if everything is correct.